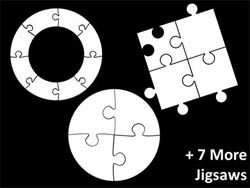 Jigsaws are puzzles that can be solved - but then jigsaws have numbers too! Each jigsaw puzzle has a number of pieces that have to be fitted together, in the same way that many aspects of lives and businesses need to fit in with each other. Jigsaws can add a whole new level of interest to a PowerPoint slide. 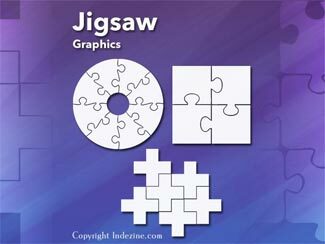 Here are 10 jigsaw graphics containing different shapes. These jigsaws can be used on their own, or also combined with other graphics such as a human head to create a larger concept! Jeremey Donovan is Group Vice President of Marketing at Gartner Inc., the world’s leading information technology research and advisory company with $1.6 billion in annual revenue. During his career, Jeremey has led successful teams focused on market research, new product development, marketing, acquisitions, and product management. He is a three-time TEDx organizer, a TEDx speaker, a coach for many TED and TEDx speakers, and long-time member of Toastmasters International. 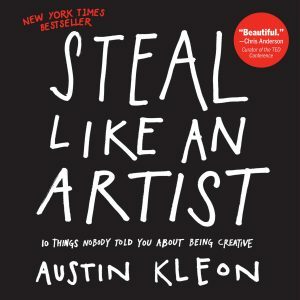 His other books include What Great Looks Like, How To Win the Toastmasters World Championship, and How To Deliver A TED Talk: Secrets Of The World’s Most Inspiring Presentations. In this conversation, Jeremey discusses his new book, Speaker, Leader, Champion: Succeed at Work Through the Power of Public Speaking. Essentially, the unit of measurement used by Microsoft Windows 10 is determined by settings in place within the Regional Settings applet within the Control Panel. Choices available are U.S. and Metric. In this tutorial, we’ll show you how you can change the units from U.S. to Metric, or vice versa in Windows 10. If I'd waited to know who I was or What I was about before I started "being creative," well, I'd be sitting around trying to figure myself out. The Outline view in PowerPoint 2016 essentially brings up the Outline pane on the left side of PowerPoint 2016 interface. Note that this now replaces the Slides Pane that shows up in Normal view. Also, any changes you want to make to your outline can be made through right-click options, and we’ll show you how you can do so.